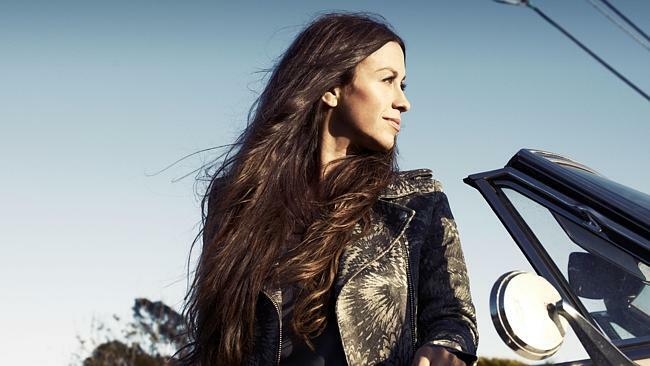 Alanis Morissette’s most famous song is a vengeful anthem directed at one man in particular. BEHIND every great song there’s a great story, and that’s especially true of these five pop classics. Each of these songs ruled the airwaves when released, something that must have filled their real-life subjects with glee — or horror, depending on the tune. Brit indie band The Zutons wrote the track and had a minor hit with it, but after a retro-soul rework thanks to producer Mark Ronson, Amy Winehouse turned her cover into a modern standard. The real-life Valerie is Valerie Star, an American make-up artist who had a long-distance relationship with Zutons singer and songwriter, Dave McCabe. “Years ago I meet a boy. But isn’t that the way all great stories start. I’m lucky enough to be able to say I have a song that was made about me f***ing rocks,” Star says. And unfortunately, McCabe’s vivid lyrics (“Did you have to go to jail, put your house on up for sale, did you get a good lawyer? And did you have to pay that fine, that you were dodging all the time, are you still dizzy?”) weren’t just poetic embellishments — Star had real legal troubles that prevented her from travelling to the UK to spend more time with her rock star beau, effectively ending their relationship. When The Knack’s lead singer and rhythm guitarist Doug Fieger was 25, he met a 17-year-old by the name of Sharona Alperin, who became his girlfriend for the next four years. “It was like getting hit in the head with a baseball bat; I fell in love with her instantly. And when that happened, it sparked something and I started writing a lot of songs feverishly in a short amount of time,” Fieger said. Sweet or creepy? This uncharacteristically loved-up ballad from the American pop-punk outfit is about a real-life Delilah — but she never actually went out with the band’s singer-songwriter Tom Higgenson. She’s Delilah DiCrescenzo, an American distance runner who competes on a world level. She met Higgenson through a mutual friend, and the Plain White T’s star was instantly “besotted” with her and promised her he’d write a song in her name. “I thought he was just being flirtatious and leading me along,” the athlete later said. While the two were never in a relationship, she did attend the 2008 Grammy Awards as his date, where her namesake song was nominated for Song of the Year. This bossa nova classic, made famous by Astrud Gilberto, was penned by Portuguese songwriter Vinicius de Moraes. His muse? Heloísa Eneida Menezes Paes Pinto (now Helô Pinheiro), a nineteen-year-old girl from the fashionable Ipanema district in Rio de Janeiro, Brazil. Every day, she would stroll past the popular Veloso bar-cafe (”each day when she walks to the sea”) to a chorus of wolf whistles. In the winter of 1962, the composers watched her pass by the bar, and a classic song was born. However, it hasn’t been a hassle-free relationship: In 2001, the song’s copyright owners sued Pinheiro for using the title of the song for the name of a fashion boutique she owned, saying she had no legal right to use the name. The court ruled in her favour. The hit that cemented Alanis Morissette’s reputation as an Angry Young Woman, there was much speculation about which ex-lover could’ve elicited such a powerfully angry anthem from the young singer-songwriter. Few could’ve believed that it was Dave Coulier, aka nice-as-pie Uncle Joe from ‘90s sitcom Full House. Earlier this year, Coulier’s Full House co-star Bob Saget corroborated the story, saying that he was actually present when Morissette made that call during dinner. However, this year Coulier seemed to backtrack, denying that he was ever the subject of the song. Who knows why he changed his tune: we can only guess that, unlike the real-life inspirations behind the other songs mentioned, Coulier ain’t too pleased about having his name associated with such a venomous song.